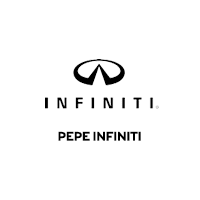 Welcome to our Pepe INFINITI Friends & Family Sales Event. This month we have exceptional offers on our new and pre-owned models just for you. and receive a complimentary gift in celebration of the Pepe Auto Group 50th Anniversary! .Lessee responsible for insurance, maintenance, excess wear and excess mileage over 32,500 miles at $0.25 /mile. All amounts shown are estimates, retailer sets actual amounts. Includes all applicable offers. Residency restrictions apply. Lessee has option to purchase vehicle at lease end at price negotiated with retailer and approved lender at signing. Termination fee may apply. Contact dealer for availability and for complete details.